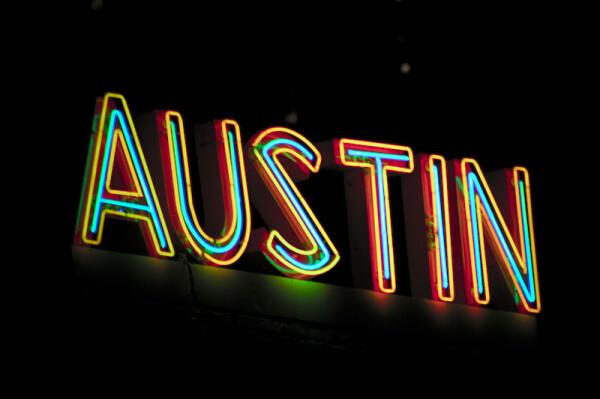 Isobar > The Squeeze >Archive>It’s that time of year again – SXSWi PanelPicker! It’s that time of year again – SXSWi PanelPicker! It’s hard to believe that the agenda for next March’s SXSW is already being considered, but the PanelPicker is indeed live and Isobar has five great submissions that we’d love to see on stage next year. If you see something you like, please take 30 seconds to create a PanelPicker login and vote! Improving Access for the Disabled with Wearables – Historically, healthcare has been at the forefront of innovation, but at exceptional costs and a snail’s pace. The result is medical, health and wellness devices as well as software systems lagging behind the rapidly changing needs of an evolving patient population. Recent advancements in consumer technology, new trends in connected devices and wearable hardware, and the emergence of affordable components and prototyping tools have converged to provide new opportunities to design, prototype and test solutions at a blistering pace. By combining design thinking, active participation of patients, rapid prototyping and change to processes, the opportunity presents itself to disrupt the way the industry has historically approached things. Join us in a discussion around how we are working to solve problems faced by patients with physical disabilities and brain injuries by repurposing consumer technology, inventing new products and services and integrating technology to improve lives. Attendees will see a short presentation, followed by breakout groups practicing techniques to improve client communication in design scenarios. Mobile Donors: What Do They Really Need? – Today’s online donors expect a simple, streamlined donation experience that is both personalized and relevant. Donation forms are becoming more than just a credit card collection tools and part of the overall giving experience. Whether it is a donation via phone, tablet or desktop donors should feel connected when they select the “give now” button. Harvard University, in collaboration with the digital agency Isobar, has spent the last year re-imagining their online donation experience from the ground up. This session will explore how the team balanced the needs of a wide donor age range, an increasingly mobile donor base, and the complex business and operation requirements. Learn how the Harvard/Isobar team defined an online strategy that combines the optimal donor experience with a strong technical infrastructure. Building on Social Media in the Modern Age – Twitter has changed. Building an engaging experience on social media, particularly with a demanding client on the other side, isn’t just a matter of throwing an API listener on a webpage anymore. Our experts in data science, social business, and digital creativity offer lessons on working with social media companies and data providers, tackling big data challenges, and adding something new and special to the social media landscape without breaking the rules. We built Sony’s One Stadium – a World Cup sponsorship activation delivering a real-time reflection of what the world’s fans are saying in 6 languages about 32 teams competing in the biggest social media event in history — and we’ll share what we’ve learned about how the rules of social media have changed and how social engagement is changing. You’ll also learn about how the world engages online around an event as big as the World Cup. Art vs. Purpose: Innovation in Marketing – Product development 101: know your customer and understand their problems. Lean startup techniques have taught us the important of failing fast, and iterating in such a way that you are able to pivot long before wasting precious startup capital. But how then do we account for major breakthroughs and entirely new product categories? What about natural curiosity and “innovation for innovation’s sake” are we losing when we focus on monetization alone? I will argue that “art is the best alibi” and that the entrepreneurship-minded artist has a strong role to play in the world of branded innovation. Through personal examples such as the Mondo Spider, a 2,000 lb. sculpture that travels the world, and Local Warming, a recent Venice Biennale art installation, I will help describe a loose framework from which creatives can explore their artistic aspirations – within the context of brand building and reaching consumers in completely unexpected ways.